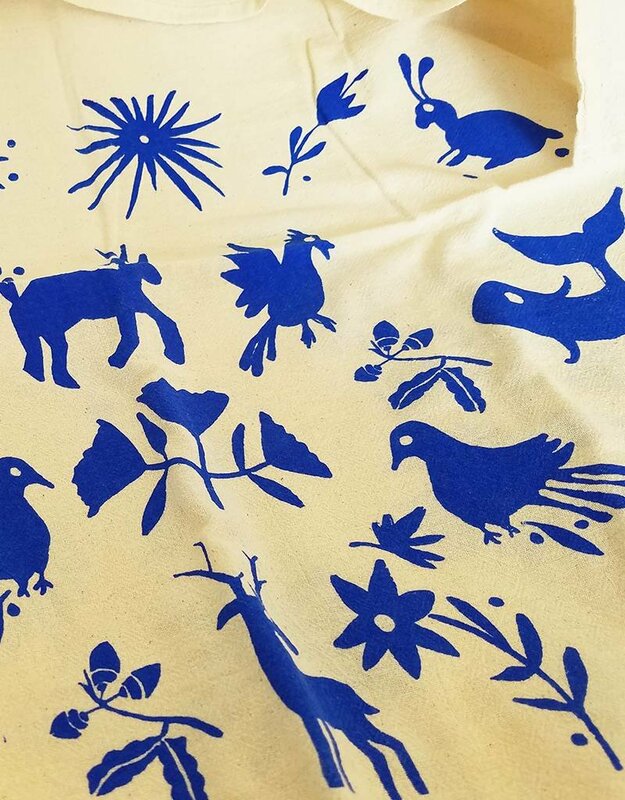 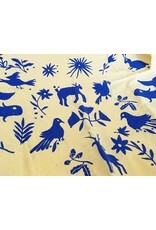 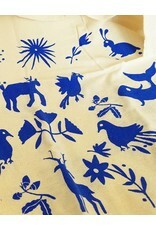 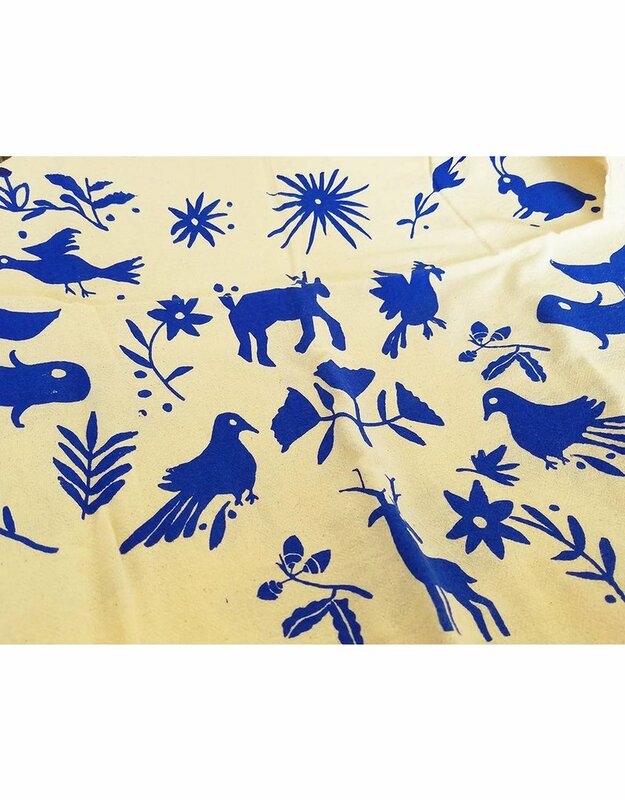 A set of 2 floursack dishtowels hand printed with our Otami print. 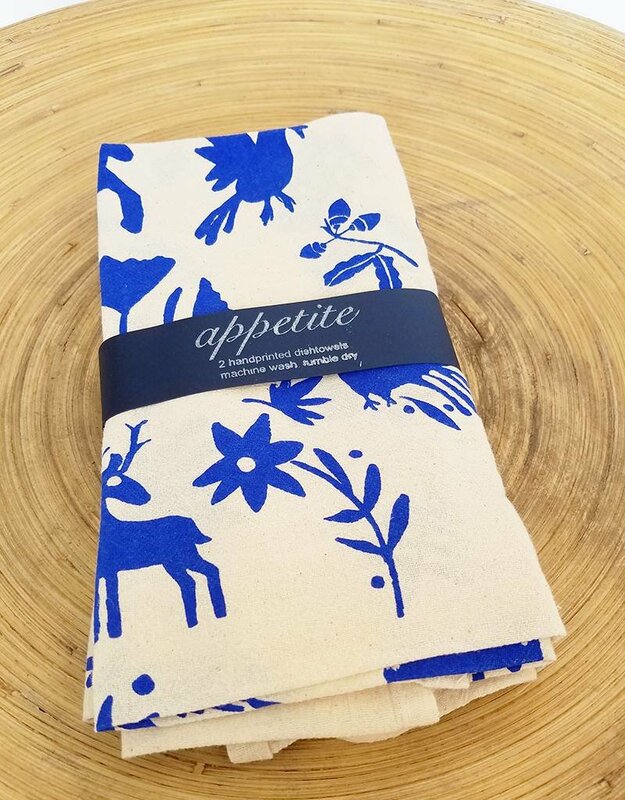 Each set contains two towels printed in cobalt blue. 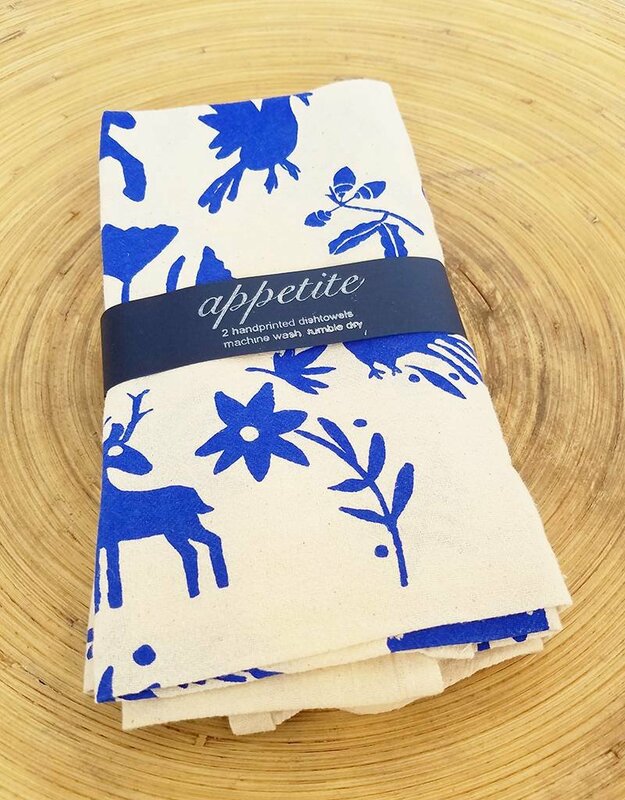 + towels are 100% cotton, printed with non-toxic water based acrylic textile ink and heat set to last through many washes. 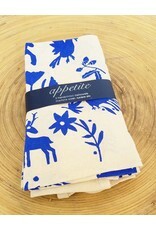 + each towel measures 22" x 38"